"Reaching out for help is never a bad thing, it just makes us a better person, it makes us better parents. Never be afraid to ask for help." Parenting can be one of the most rewarding jobs a person can have but it can also be demanding, frustrating and exhausting. Sometimes parents just want a little advice, but wading through all the information out there can be quite daunting. By signing up to receive parenting tips you can rest assured that you will be getting the most up to date parenting advice available and best of all - it’s delivered directly to your email-no research involved. Need a little advice on parenting but don’t have a lot of time? Click on our parenting tab or scroll to the bottom of this page to get some quick tips! No parent is immune from experiencing challenges when it comes to raising children. To hear how Triple P has helped other parents overcome their obstacles, visit our real life stories page. Where Do I Find Triple P? Are you ready to experience Triple P for yourself? To find a practitioner, seminar or event near you, visit the “Triple P in my Community” page. All Levels of Triple P Available! Being a parent can be an extremely rewarding and enjoyable experience, but not always an easy one. Kids don’t come with an instruction manual so when it comes to parenting, how do you know what’s best and what works? That’s where the Positive Parenting Program (Triple P) comes in. Triple P is one of the world’s most effective parenting programs because it’s one of the few that has been scientifically proven to work. Parents all over the world deal with temper tantrums, disobedience, bedtime dramas, homework problems and whole host of other common parenting issues. What’s nice about Triple P is that it is a multi-level program designed to provide solutions to a wide variety of parenting situations. So whatever your parenting needs, no matter how simple or how complex, Triple P has information to help you. You can get started right here! 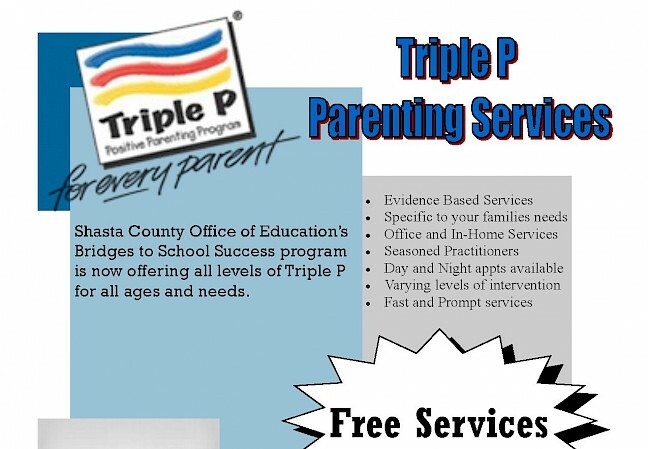 Visit our parenting tips page for some quick and easy tips to get you started, listen to some real life stories from parents who have had first hand experience with Triple P, or simply learn where you can find Triple P services in your area by visiting our “Triple P in My Community” page. Enjoy your visit! 1Give your child lots of physical affection – children often like hugs, cuddles and holding hands. 2When your child wants to show you something, stop what you are doing and pay attention to them. it is important to spend frequent, small amounts of time with your child doing things that you both enjoy. 3Talk to your child about things they are interested in and share parts of your day with them. 5Children are more likely to misbehave when they are bored so provide lots of engaging indoor and outdoor activities for them, like coloring and dress up. 6Teach your child new skills by first showing the skill yourself, then giving your child opportunities to learn the new skill. For example, speak politely to each other. Prompt them to use manners like “please” or “thank you”, and praise them when they do. 7Set clear limits on your child’s behavior. Sit down and have a discussion on the rules of the home. Let your child know what the consequences will be if they break the rules. 8If your child misbehaves, stay calm and give them clear instruction to stop and tell them what you would like them to do instead. Praise them if they stop. If they do not listen, follow through with an appropriate consequence. 9Have realistic expectations. All children misbehave at times and it is inevitable that you will have some discipline challenges. Trying to be the perfect parent can set you up for frustration and disappointment. 10Take care of yourself. It is difficult to be a calm, relaxed parent if you are stressed or anxious. Try to find time every week to let yourself unwind or do something that you enjoy.